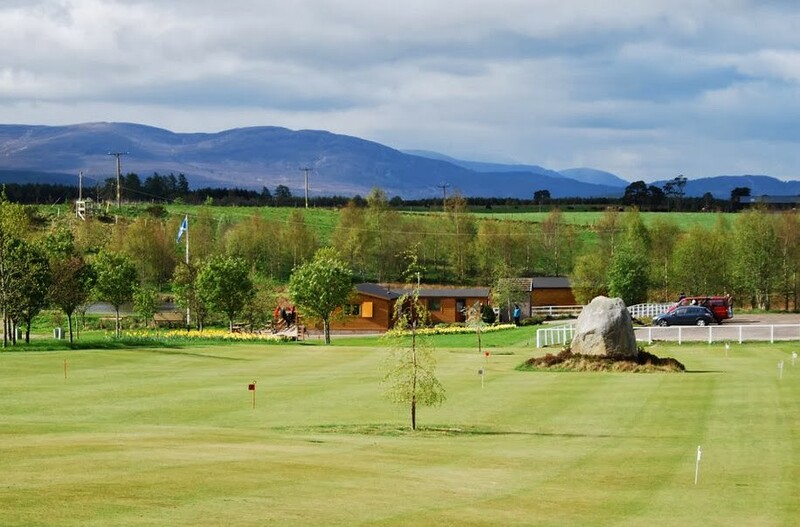 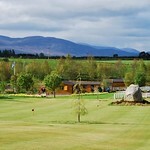 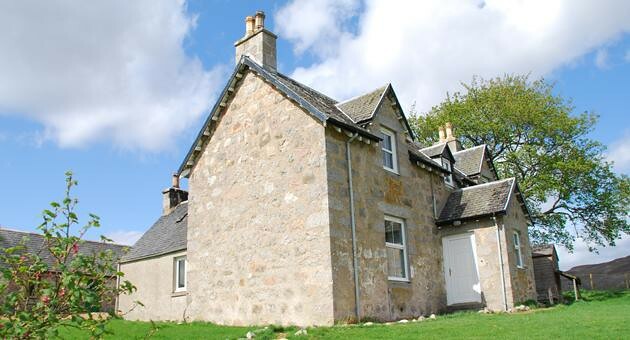 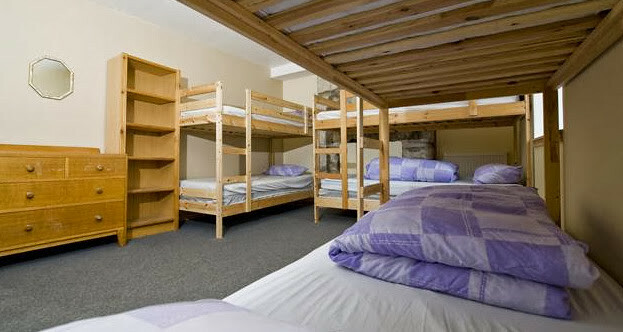 A boys weekend away should be full of laughs, this accommodation will keep you all together. 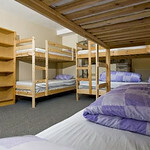 You will be sharing multiple occupancy rooms - get a hold of all your mates - do you have as many as 27? 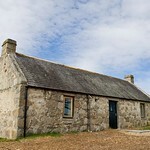 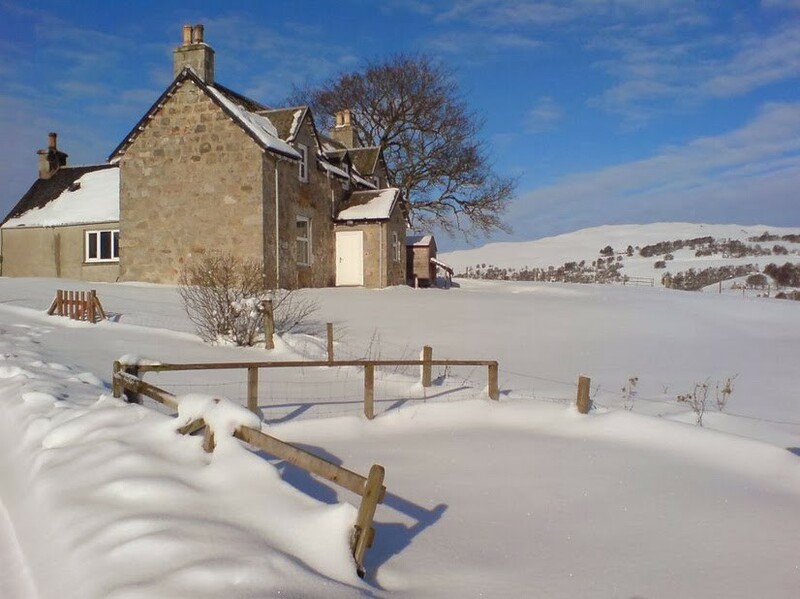 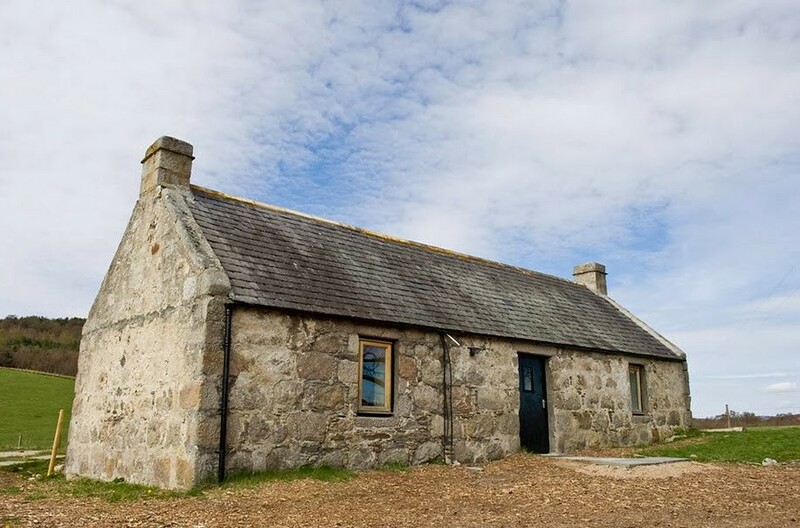 This Bunkhouse is a light, bright and airy converted farmhouse that sleeps up to 27 people over three rooms, two bunk-rooms of 11 and 12 beds each, and a cosier 4-bed room. 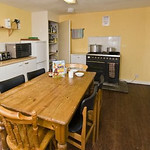 The building is double-glazed and central heated throughout, and as such is extremely cosy year-round. 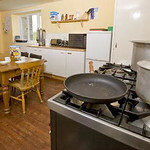 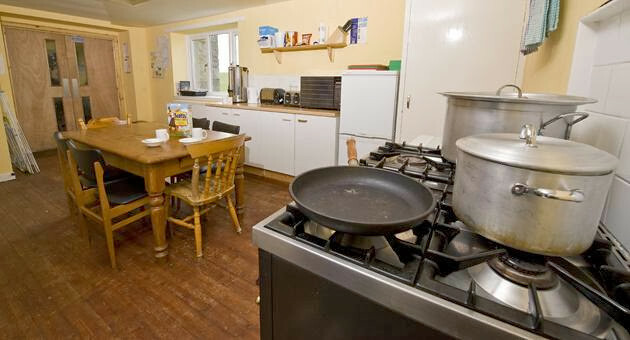 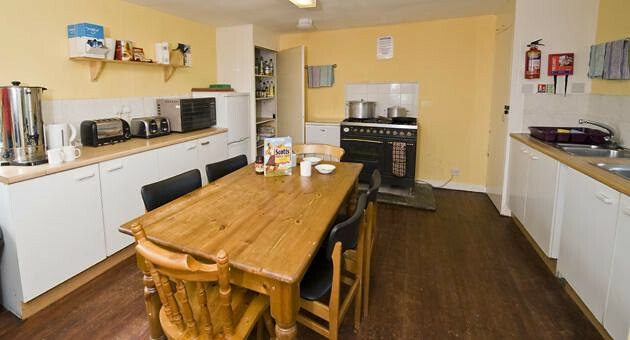 Downstairs is a large open-plan kitchen - well equipped for group self-catering - and dining / common room area, with a range of tables and seating to suit the requirements of how different groups choose to use the space. 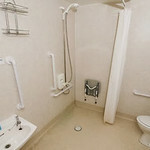 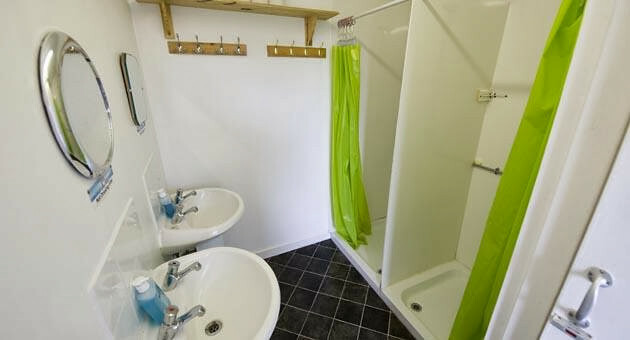 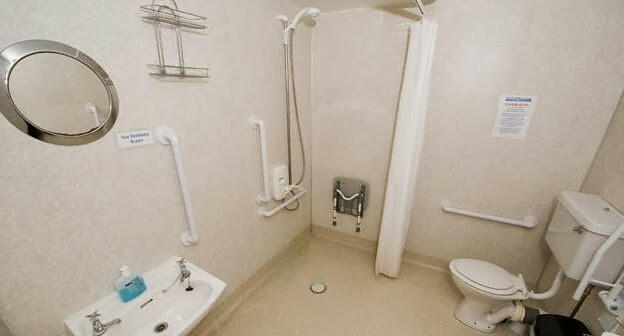 Bathroom facilities - one private bathroom and communal male and communal female bathrooms - give access to sink, toilet or shower on a minimum of a 1:5 basis. 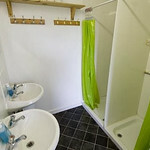 There is also a hanging and drying area for coats & footwear. 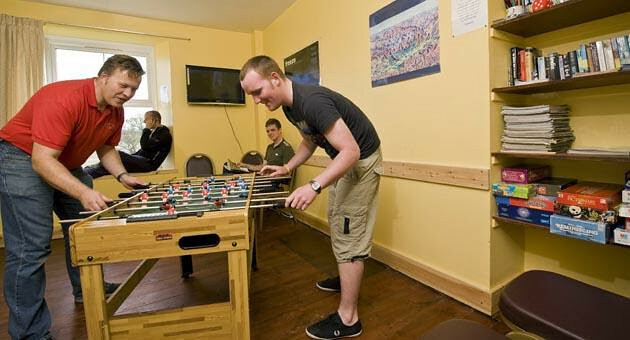 Entertainment-wise, other than the glorious setting to enjoy, books and games are provided, as is a flatscreen TV/DVD for the playing of DVDs and plugging in your Wii, Playstation or Xbox - please note that we deliberately choose to have no TV reception - and a radio/CD/MP3 player. 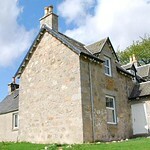 There is a small stock of CDs & DVDs, but feel free to bring your own aswell.